OCNA Blog: Where are you from, how did you hear about Geocaching, and when did you start? OCNA Blog: Your show is on Blog Talk Radio. 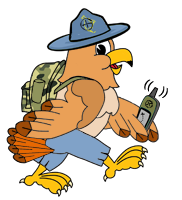 Would you consider yourself more of a Geocaching talk radio host than a Geocaching Podcaster, or is there really no distinction between the two? OCNA Blog: What type of gear do you need on your end to put on a show like this? 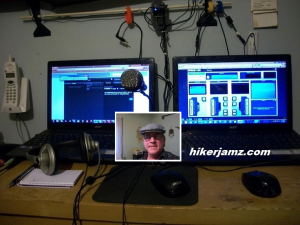 HikerJamz: All I need on my end is a Blog Talk Radio account, Microphone headset, a phone or Skype to call in my account number to connect to the studio. From there I just wait for the countdown for my air time to start. I usually call in to connect 15 minutes before show time and one caller called in about 10 minutes before show time so I chatted with him while waiting. I can host a show for either 15 min. or 30 min. with the account I’m on right now. If I switch accounts, I can run a show up to as much as 2 hrs. Right now all it cost me is my internet connection and my Skype account. OCNA Blog: How does it work from a callers perspective? They just have to call a certain number during the show, and they’re on the air with you as soon as you put them up live? HikerJamz: Yes, The call in number for the live show is (646) 478-4941. They will be put on a hold until I see the line light up that I have a caller. As soon as I get a chance to connect them to the studio, they will be live. I usually interrupt whoever is talking as soon as I can without being rude to them and get the caller on. I can mute a caller or I can disconnect from one. I like to leave them on live as long as they want. OCNA Blog: I noticed you can put on more than one caller at once. How many people can you put on in this conference call format, so to speak? 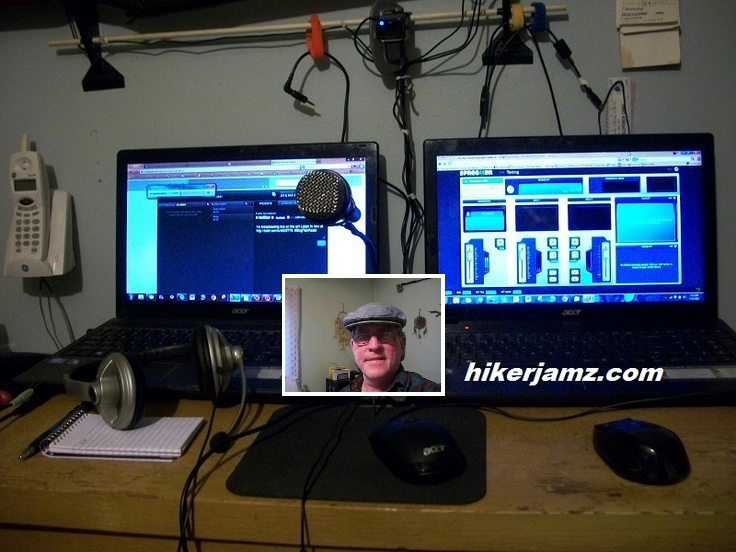 HikerJamz: I can have up to 5 consecutive callers on live at one time with my account. Some accounts allow 50 and some are unlimited. I think 5 is plenty to have a conversation with at one time. OCNA Blog: Looking at the show’s Twitter feed, I see a couple of weeks ago you tweeted that you might be possibly looking for a co-host for the show? HikerJamz: If someone would like to be a co-host, they would need to contact me at [email protected] and let me know what Saturday they would do this. All they would need to do is call in just like a guest at the number above about 5-10 min. before the show (or as soon as the show allows them to connect) and be able to stay on like for the entire 30 min. Here at home, like if I wanted my son or anyone else here to be a co-host, I just give them a microphone headset and plug it in with mine to my computer and that’s it. OCNA Blog: Do you have a huge list of potential topics for the show every week? HikerJamz: Right now, I just randomly think of a topic to discuss. This coming Saturday show is titled “What do you want to talk about?” I would take suggestions also by contacting me at the above email link. 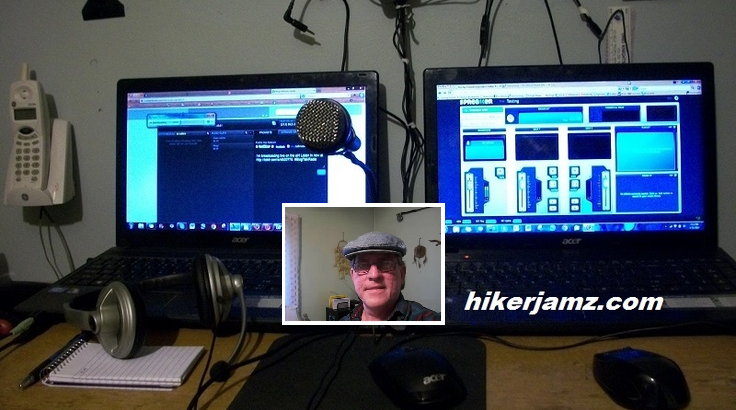 Also, to send me a message, You can go to my website www.hikerjamz.com and there you can also go to my Blog Talk Page where a list of archived shows are and the next show to air if I have it up by then. I try to set up the next show by Monday evening to give everyone a week to see it and for me to advertise it on several sites and twitter. I share the show as soon as I submit the time, day, title and all the necessary information (usually Monday) then Wednesday, then on Friday I put it up as a reminder to listen.